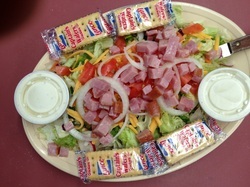 Lettuce mix topped with tomatos, onions, cheese, and ham. 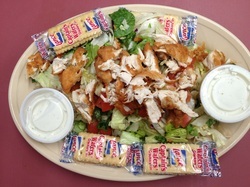 Lettuce mix topped with tomatoes, onions, cheese, and grilled chicken strips. Lettuce mix topped with tomatos, onions, cheese, and baby shrimp. served with any 2 sides. 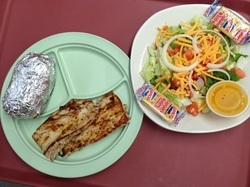 2 pieces of grilled mahi mahi. 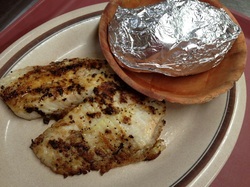 1 piece of grilled tilapia. Tender strips of grilled chicken breast.
? 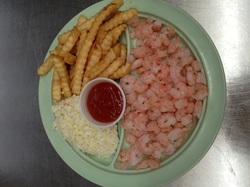 oz of boiled shrimp.